I have just started cooking steaks in my sous vide machine. I am getting results when cooking sous vide that do not agree with the theory and instructions I have read. 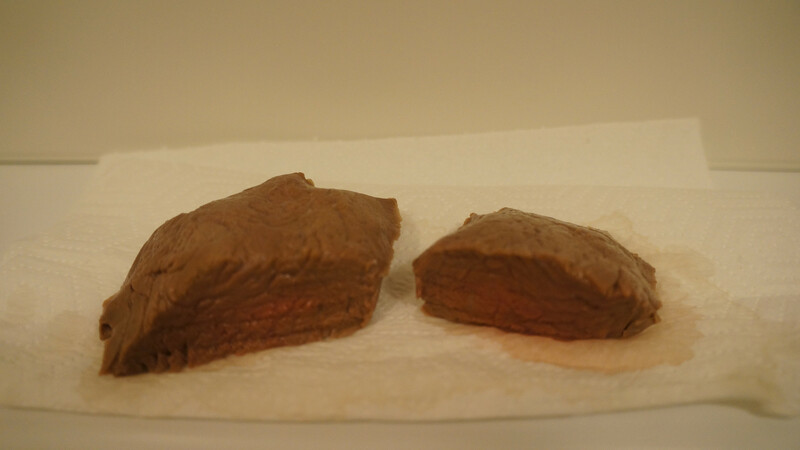 For my experiments I have cooked “rostas,” which is a beef part close to the filet (see link). I cooked two pieces for 1½ hours. One at 59°C and one at 56.5°C. 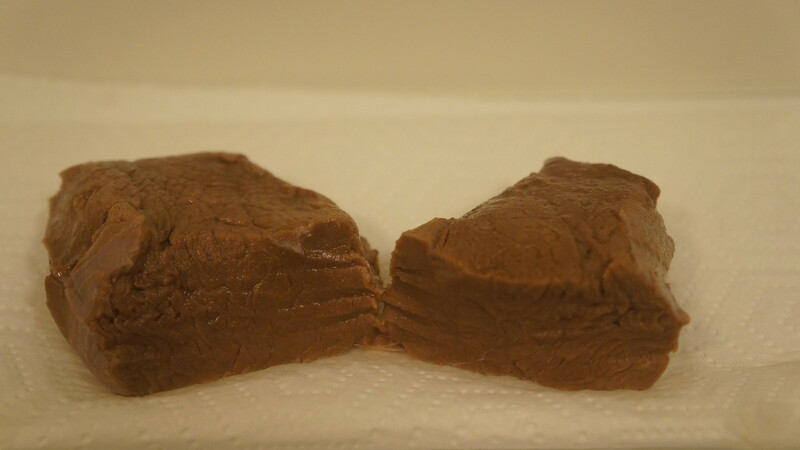 The white balance is off, but there was only a slight hint of red meat inside the piece cooked at 56.5°C. What could be wrong? I get very different results from e.g. this page. I have checked the temperature of my sous vide machine and it seems correct. If your sous vide machine is cooking to the right temperature then your steak is not overdone. That's the beauty of the process, your meat will go up to the temperature you set and no higher. You need to take the temperature of the center of the meat when you take it out. If the temperature of the meat is higher than you set the machine to then something is wrong with your machine. If the temperature is right then that is how the meat looks when cooked, unless you have marinated it or it's getting coloring from something in the bag. Maybe it's old, or hasn't been aged at all. Different cuts of beef have different textures and colors before and after cooking, and depending on whether the meat has been aged or not, how it was aged if it was, and if it's close to spoilage. It's very hard to say in this case, what you need is data. Not the answer you're looking for? Browse other questions tagged beef steak sous-vide or ask your own question.